When it comes to caring for carpet, no one does it better than the professionals. However we can’t have a professional carpet cleaner over to our home every time a spill or stain appears on the carpet. The next best solution is learning the tips and tricks of the professional carpet cleaner. Go Green Carpet Cleaning & Restoration will share some of these with you today. Below are some of the secrets of the trade and how professional carpet cleaners handle the toughest stains or carpet cleaning tasks. Blotting – Never scrub a stain because that only causes the stain to spread and get pushed deeper into the carpet fibers. The secret to cleaning stains is blotting. When you blot at a stain you apply a small amount of pressure, which helps to soak the liquid out of the carpet. White Cloth or Paper Towel – Never use a colored rag, cloth, or paper towel to clean stains. Always use a white one instead. Colored cloths or paper towels contain dye that while you’re cleaning the stain, can actually spread inside your carpets. This, of course, makes another stain. Shaving Cream – Shaving cream makes an excellent stain remover. On stubborn stains put some shaving cream on top of the stain for 30 minutes then blot at the stain with a dry white cloth. Ice Cubes – Ice cubes are used to remove gum from carpet. You place the ice over the gum until the gum hardens. You then break the gum into piece and vacuum the broken gum fragments up. This technique minimizes the amount of carpet that needs to be removed in-order to get the gum out. Dishwashing Soap – Dishwashing soap is used all the time to remove stains, particularly grease or oil related stains. Dishwashing soap breaks up and dissolves grease and many other types of stains. Always keep liquid dish soap in the home. Clothing Iron – When melted wax spills onto the carpet your best bet to remove the wax is to melt and extract it. Often to remove wax from carpet you will use a paper bag with a damp cloth over it. Next you use a clothing iron set at low or medium heat, and press down on the stain. The heat melts the wax and then the wax gets absorbed by the paper bag. The damp cloth prevents the paper bag from catching fire. Hydrogen Peroxide – Hydrogen peroxide is often used in different ways to clean different types of stain. One use which is the most beneficial is to use hydrogen peroxide on blood stains. The hydrogen peroxide lifts the blood out of the carpet and makes the stain much easier to clean. Vinegar – For those with pets, be prepared for accidents to occur. Urine contains proteins and bacteria that produce bad odors even after you clean the stain. To eliminate the bad odor and kill the bacteria and protein that is in the carpet, use vinegar. Baking Soda – For bad smelling carpets, invest in baking soda. Apply baking soda generously to those stinky areas for 30 minutes or longer before vacuuming it up. Carpet should be deep cleaned regularly to extend the life of your home’s carpet. The next time you need your carpet steam cleaned, contact Go Green Carpet Cleaning & Restoration! Have you ever handed your kids a candy that somehow ends up on the carpet? Nothing is worse than walking around to find that the chewy candy they had never made it in their belly. Maybe someone dropped a chewed piece of gum on the carpet. These are what you would consider a spot because they are on top of the carpet fibers. The problem with these types of spots are they are sticky enough that they will immediately attach the fibers. That makes them seem near impossible to remove from the carpet. The first instinct for most people is to run over and start to grab and pull the gum or candy off. The problem you can possibly come across is damage to the carpet fibers. This could lead to needing a carpet repair or patch. There are a few ways you can use to treat for gum that has become stuck to the carpet. Use Ice to Remove Gum from Carpet: The first way you can attempt to get the gum off your carpet is to use a bag of ice. You can put some ice in a bag that zips shut to prevent them from falling out or an ice pack. The ice is then going to be placed right over the top of the gum or candy. The process will freeze the sticky food and give you a chance to work with it without having it stretch out and get messier. Allow the ice to stay in the spot for a few minutes. The next step is to get a hard object like a credit card or a butter knife to work the stiff gum off the carpet. You may need to pick off what you can then refreeze the gum. Take your time with this part of the process. Once you have taken time to freeze and chip away the gum that is on the carpet you need to clean the rest of the stain. The discoloration of the carpet needs to be treated after the gum has been removed. Use a cleaning solution such as water and vinegar. This can clean the remaining spot and the carpet looking great. Use Peanut Butter to Get Gum Out of Carpet: Have you ever gotten gum in your hair? Most people have and their mom runs off to grab a jar of peanut butter. A slather of the peanut butter and massage into the hair is enough to break the gum or sticky candy down. This will let you comb the gum out. The same thing can work on your carpet. The oil in the peanut butter is what works with the stickiness and breaks it down. It will start to fall apart and then you can pick up the pieces. You can use peanut butter or oil on the carpet as long as you are careful. You don’t want to allow the oil to soak in too much so keep the oil as close to the gum or candy as possible. As the gum or candy breaks down you need to pick it up and dispose of it. Then clean the remaining spot with warm water and soap. Carpet Cleaning, Stain Removal & More in Glendale, Pasadena, Burbank, Diamond Bar & Agoura Hills, California. Go Green Carpet Cleaning & Restoration offers carpet cleaning, stain removal and more. Contact us today! The holidays are a busy season for many. The hustle and bustle from the activities, events, parties, and get-togethers leave people exhausted. In addition to the fun, there are many projects that go underway, whether they are to bring the spirit of Christmas into the home or spread the Christmas cheer to family and friends. Indulging in hobbies that make for cute decorations or sentimental gifts is often included in the holiday traditions. With the various activities occurring, the odds of your freshly cleaned carpets recently serviced by Go Green Carpet Cleaning & Restoration can become tarnished by different eye-sores. To help you preserve your carpets vibrant cleanliness for the remainder of the festivities, we would like to offer tips and advice on how you can do it. 1) Pet maintenance. Pet hair is frequently being shed. The hair/fur accumulates into clumps and sticks to the surfaces such as upholstery, carpets, and guest’s clothing. To help avoid the hair mess, get the pet’s shampoo, cut, and nails clipped. 2) Limit kids’ crafting space. The kids need to express their creativity and have an outlet to release the excitement and anticipation of Christmas. Giving the kids a crafting center on top of hard surface floors will help avoid potential stains from the stain-causing agents of art work, baking, gingerbread houses, and other such crafts. In the event spills do occur, be sure to immediately wipe them up to prevent further contamination. 3) Clean the fireplace. Wood-burning fireplaces can be very messy. The embers, ash, and soot can mar the carpets presentation with unsightly stains. To prevent them, be sure to clean out the fireplace after every use. 4) Enforce no shoes on carpet rule. 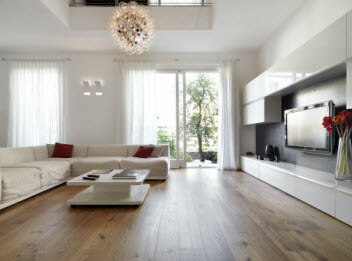 Some people have a reservation in enforcing the “no shoes” on carpet rule, but it is ideal to avoid stains to do so as so many residues collected on the bottoms of shoes can cause stains and filthy deposits onto the carpets. To encourage the comfy and cozy appeal to your party of wearing no shoes, incorporate a Christmas socks theme. It is ok to ask loved ones to kick off their shoes and stay awhile. 5) Serve clear and white wines over reds. There are many forms of merriment for the holidays. Red wines, hot chocolates, and other dark beverages frequently served at your holiday activities can be switched out with white champagne, wines, liquor, and sparkling cider. If these beverages spill on your clean carpets, they are easier to treat. 6) Place welcome entry mats. Walk-off mats are important all year round, but for added holiday décor, you can opt for new Christmas themed “welcome” mats. Otherwise make certain your current mats are routinely cleaned. They trap the majority of filth, moisture and residues that tract inside to reduce the chances of getting spots on your carpets. It is not too late if you haven’t gotten your carpets professionally cleaned for the holidays. Call in the experts of Go Green Carpet Cleaning and Restoration today and let our specialists get your carpets cleaned, sanitized, and deodorized. Carpeting is part of almost every home in the United States. It comes in many styles and colors and can represent your own personal style and taste. When new carpet is installed it looks amazing and feels great to walk on. After some time it can start to wear out and get stains and flattening in high traffic areas. Most people run a vacuum over the carpet to keep it cleaned and looking good. This is a great start because it removes a lot of the loose dirt and debris that gets on the carpet when people walk around. When something is spilled on the carpet a quick spray and washcloth is the go to when needing to clean it up. If you want to keep your carpet looking good and lasting longer, have a professional carpet cleaning done on a regular basis. Go Green Carpet Cleaning & Restoration has the top of the line equipment to clean carpets and leave them looking like new. We also have a list of benefits to getting your carpets cleaned professionally. One of the best benefits of having your carpets cleaned by a professional is that it can actually help improve the quality of air in your home. When you run an in home vacuum it is removing the dust and dirt on the surface, but there are still tons of dirt that is already imbedded deep in the carpet and padding. When a professional carpet cleaner comes they have high power vacuuming and can get deep in the carpet and remove the dirt that is too hard to reach for a standard vacuum. This will improve the air quality in your home. Some people think that having the carpets cleaned can actually ruin the carpet faster, but this is just not true. If the carpet is cleaned by a good and reliable company it can help the carpet to actually last longer. A carpet cleaner can also help remove the stains and spills and add a layer of protectant on top to ensure that any new stains can be cleaned up faster. Go Green Carpet Cleaning & Restoration has the ability to thoroughly clean your carpets and have them looking good in no time. Call us today to make an appointment and get your carpets clean and dirt free! 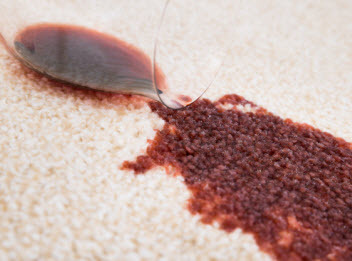 There are some spills and stains that get on your carpet that require special attention. If you drip hot wax on the carpet you have to use an iron and a brown paper sack. If you get red wine on your carpet a good way to neutralize it is to use white wine. Many stains have a unique process to ensure that they do not spread further and that they are cleaned properly. A type of spot that is in the same group is mud! When you are unlucky enough to get mud on your carpet you will need to use a specific cleaning method. The issue is that the mud is actually made up of two different things. It has dirt from outside as well as moisture from water and rain. The mud is a thick sludge that can get in the carpet and stick to the fibers. Dry Out Mud on Carpet: The majority of stains and spills that you read about will tell you that speed is the key. You need to move fast with cleaning the spill in order to have the best results. The opposite is true when it comes to mud. The mud consists of water and dirt. The best thing you can do is to allow the mud that has attached to the carpet fibers to dry out. The moisture in the dirt is what will cause it to continue to remain sticky as well as spread out. You will have to refrain from cleaning the mud until it has had adequate time to dry all the way through. You can use a fan to add air to the area to encourage the drying process. After you have allowed the mud to dry out you can start on the next step. Break Up Soil Clumps on Carpet: The next step has to do with the dirt that is now left behind. You want to use a brush or other hard item to break apart the dirt. When it dried out the dirt is still left compacted together and potentially attached to the carpet fibers. The brush will break the clumps apart and allow you the ability to remove it. The best way to remove the dirt that has been broken apart or brushed is to use the hose attachment to your vacuum. This will help to pull the loose dirt up so that it does not spread back out. Clean the Carpet Area: Lastly you will notice that the dirt has left some discoloration to the area. You want to use a mixture of water and dish detergent to spray the area. Then use a rag to dab at the spot until the color is back to the carpets original state. It is always best to do what you can to prevent mud from getting in your home. You can do this by adding good quality mats at every entrance of your home. Go Green Carpet Cleaning & Restoration offers expert cleaning and restoration services. Contact us to schedule an appointment today. Copyright © 2015 Go Green Restoration. All rights reserved.